We the people are responsible for grading our public officials. 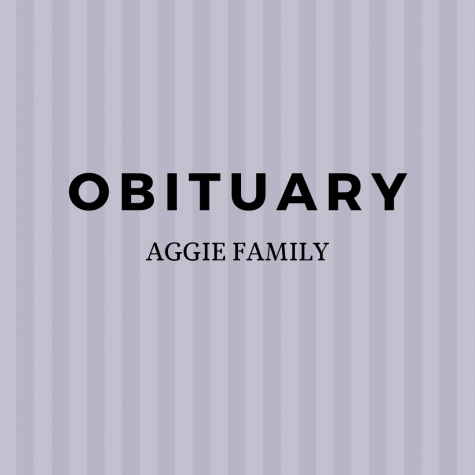 The A&T Register annually assesses the Student Government Association and the Student University Activities Board based on each of the organization’s constitutions. This academic year, we have implemented a new method of assessment by sending a survey to the student body via email which allowed them to participate in the evaluation of their student leaders. 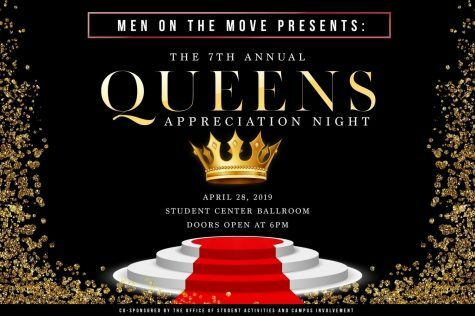 The student body evaluation allowed each participant to give a SGA e-board member a letter grade of A, B, C, D, or F. It also allowed students to select up to 10 well known SUAB events they attended and assess them on the organization, turn out, entertainment, cultural relevance, and social interaction. The survey remained open for five days, April 1 – April 5, and more than 300 students participated. 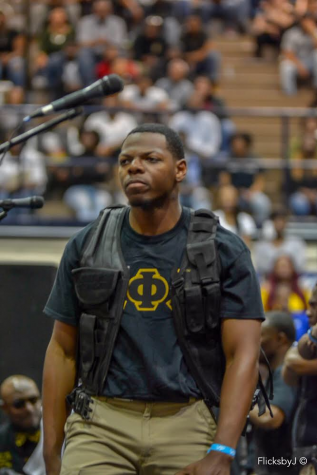 The A&T Register has read and examined SGA’s Strategic Plan and SUAB’s Constitution in order to give both organizations an assessment based off of their work and not their reputation or idolization. 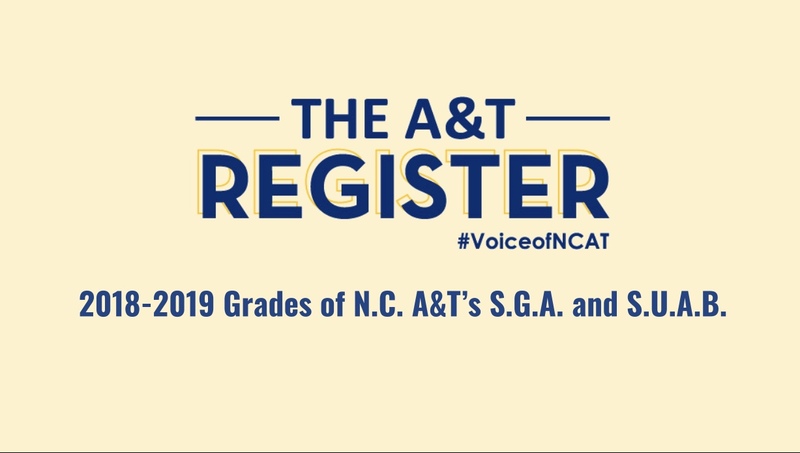 Below you will find student assessments on both SGA and SUAB, as well as a constitutional and strategic plan assessment given by the A&T Register. 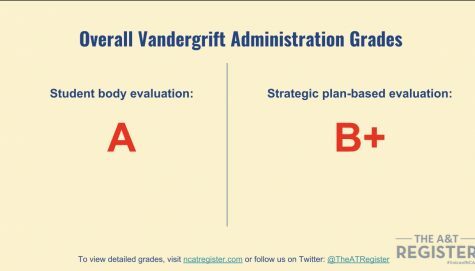 Based on the careful examination of the Strategic Plan by the staff of The A&T Register, the Vandergrift administration receives a B+ for the academic school year of 2018-2019. 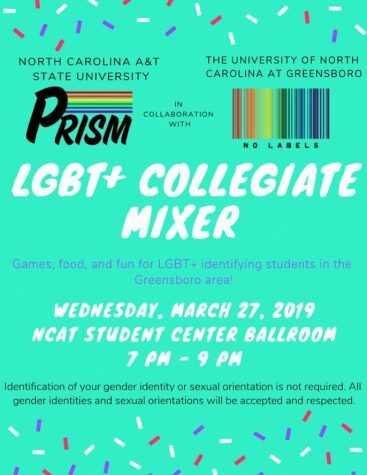 We noticed SGA failed to complete the following desired plans: Talk about it Tuesdays, collaborate with the A&T Register, acquiring a full Senate, and one political action week per semester. 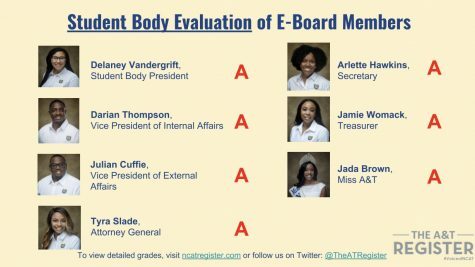 When students evaluated SGA they received an A. 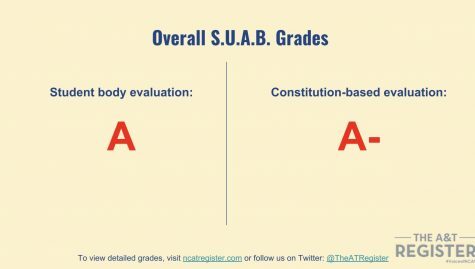 Based on the careful examination of the Constitution by the staff of The A&T Register, SUAB receives an A- for the academic school year of 2018-2019. #NCAT, assess your student leaders by taking a quick survey sent to all Aggie emails. We noticed SUAB failed to promote the student evaluation for the assessment of both SGA and SUAB; therefore, they failed to maintain all electronic mediums of communication. 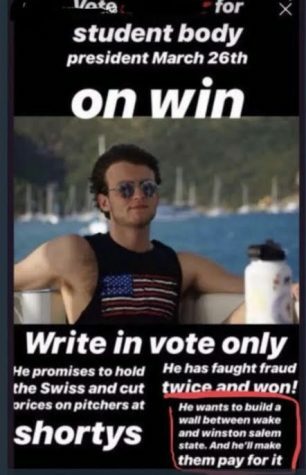 When students evaluated SUAB they received an A.